SEQUESTERED TO THE COUCH with a killer head cold, you search for an upside to the sad predicament you find yourself in. Days on end spent tossing and turning, eventually, the virus reaches its finale and you feel like living again. Maybe you're not 100% yet but you can at least look at something besides the inside of your eyelids. And since this interim convalescence just happens to take place over a weekend you don't have to feel guilty about lying around doing nothing for hours on end. And besides, you have a book that's been sitting on the shelf for, like, ever. And by you I mean me. By time, I mean this past weekend. And the book is, Adopted Reality by Laura Dennis. This week, I'm back to work, feeling much better and I've finished the book! I just love multi-tasking. Laura Dennis is one of the names I'm familiar with from the world of Internet memoir writing forums. She's very smart, with movie star good looks and she's an American expatriate, living in Bosnia with her husband and family. I can't remember where I won her book but several months ago my name was picked from a random drawing. Lucky me! 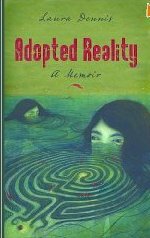 Laura's memoir, Adopted Reality is a page-turner. The story begins with a tornado of events that sound as if they're right out of a spy novel. But this is real--a perfect storm that was seeded decades earlier when Laura was adopted into a family with strong Catholic convictions. 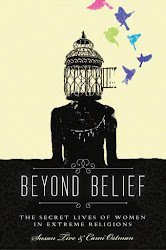 With a verbally abusive father and the church fueling her burgeoning fears, Laura strives for perfection and acceptance, unwittingly alienating her peers and feeding her self-doubts about belonging. Eventually she is drawn into the world of dance with all of its physical and mental demands--perfect for her high-energy and drive towards perfectionism. There is no disputing that society still has a problem with mental illness. Regardless of where the stigma originates, it's fueled by ignorance and intolerance. Better information is the way to change that. When the events of a person's life are laid out as succinctly and dramatically as they are in Adopted Reality, it becomes understandable how an otherwise normal person could succumb to a mental breakdown. This is the take-home message of this absorbing memoir. Stories like Laura's need to be told. If for no other reason, so the rest of us can develop more compassion and understanding for the hurting among us. Put this one on your "to read" list! P.S. 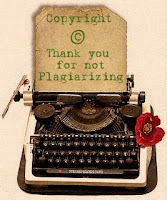 Thank you Kathleen Pooler, for reminding me that I won Adopted Reality by commenting on your awesome blog, Memoir Writer's Journey. 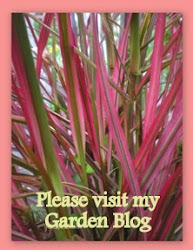 If you haven't visited Kathy's wonderful blog, please do. You'll like it. I will put it on my list--sounds good! I'm glad you're feeling better. Take care of yourself! And it is available on Kindle! I am on the last chapter of a book I really enjoyed, one of those books you mourn the end of so I was thrilled to see your review today and I jumped on over to Amazon and bought it a couple minutes ago. What a lovely review you wrote..you have some writing and sales skills Grace. So glad you feel better! 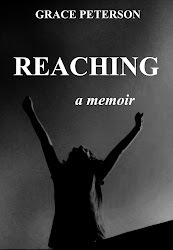 I'm happy to remind you that you won Adopted Reality on Memoir Writer's Journey when you commented on Laura's guest post! I wholeheartedly agree with you on all counts.Laura gives us a vivid glimpse of mental illness, the impact of trauma and adoption in a compelling narrative that enlightens, informs and inspires.Thanks for sharing your review and I hope you continue to feel better! Thanks for the suggestion, Grace. 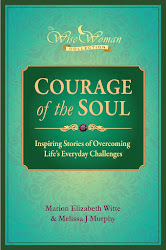 I just checked on Amazon and this book is available in a Kindle edition so I've added to my "list"! Have a wonderful weekend (glad you are feeling better). Nice. Great sounding review. I like "it becomes understandable how an otherwise normal person could succumb to a mental breakdown." Oh yeah.